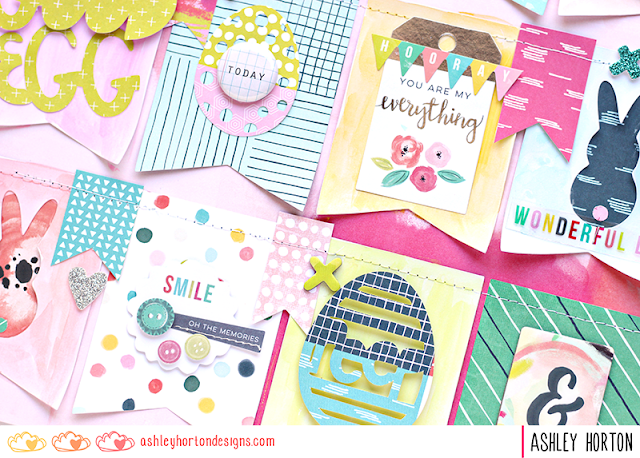 Ashley Horton Designs: Good Egg & GIVEAWAY! Happy Good Friday and Easter weekend! I have a lot of photos from last year's Easter weekend, but somehow I haven't put any of them on layouts yet. So I decided to make one! I used the Fancy Free collection by Paige Evans from Pink Paislee, with the Hoppy Easter cut file set from The Cut Shoppe. AND I AM GIVING AWAY A LITTLE PRIZE AT THE END OF THE POST...SO MAKE SURE YOU READ ALL THE WAY THROUGH!! 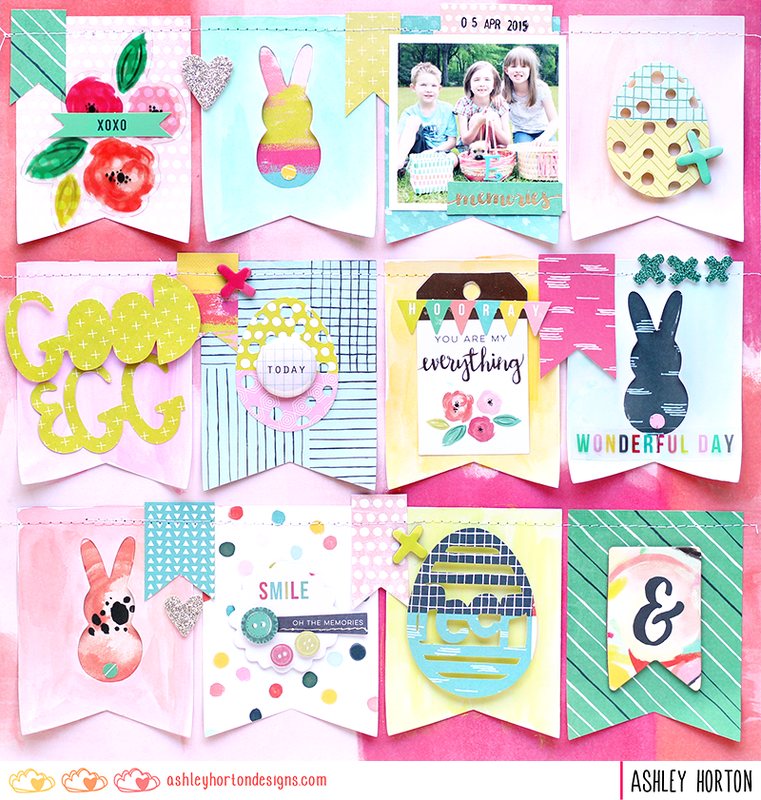 I love searching Pinterest for inspiration, and I came across several Easter banners. I thought that would be a fun idea to translate to my layout. I cut the banner pieces on my Silhouette Cameo, using a mix of patterned papers from the Fancy Free collection and from White cardstock. Once I had all of the banner pieces arranged on the background paper, I machine stitched through all of them. I wanted to add watercolor to the layout, so I painted the White cardstock banner pieces with colors that coordinated with the Fancy Free collection. 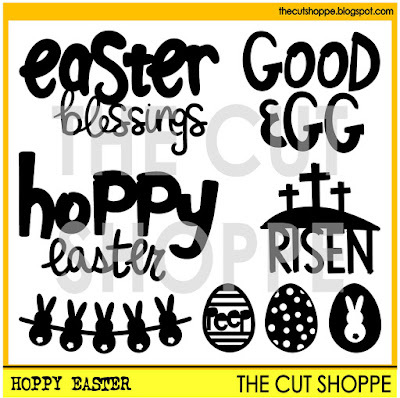 I embellished all of the banner die cuts with ephemera, Thickers, chipboard and die cuts from the Hoppy Easter cut file set. And I added a Flair Button from A Flair for Buttons. 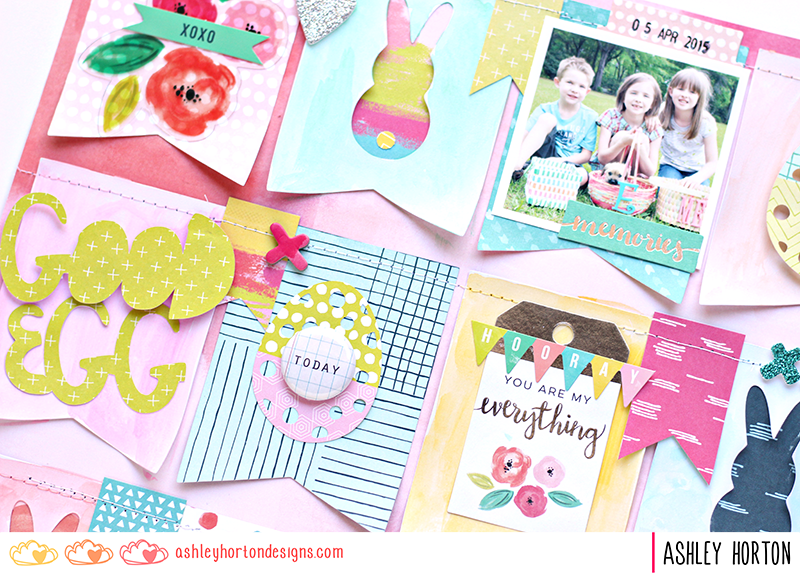 I love the bright colors in this collection, and mixing them with the cut file from The Cut Shoppe, made for the perfect Easter layout! 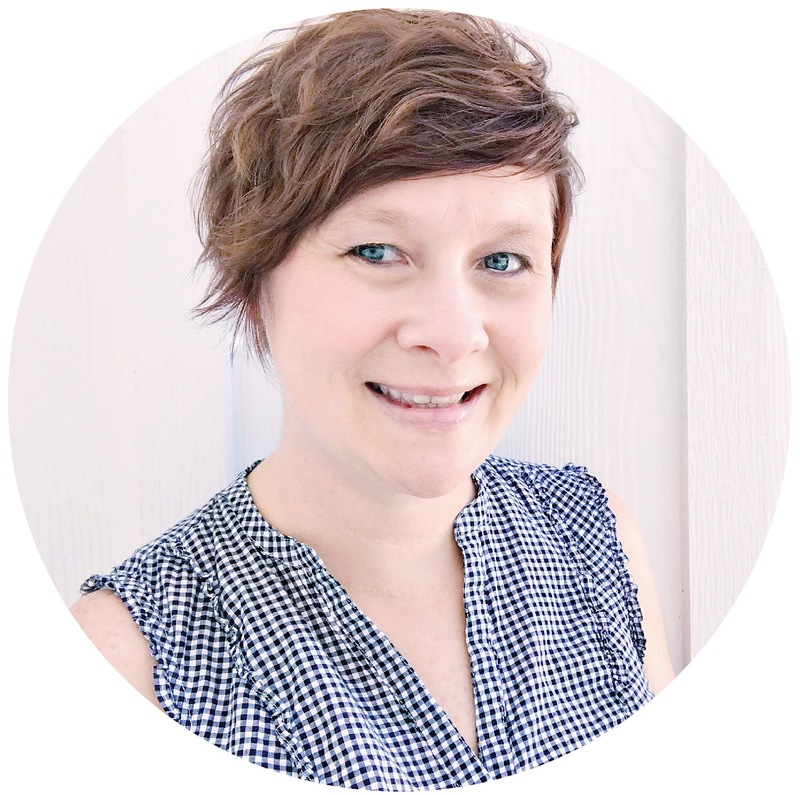 Now, it's time for a GIVEAWAY!! 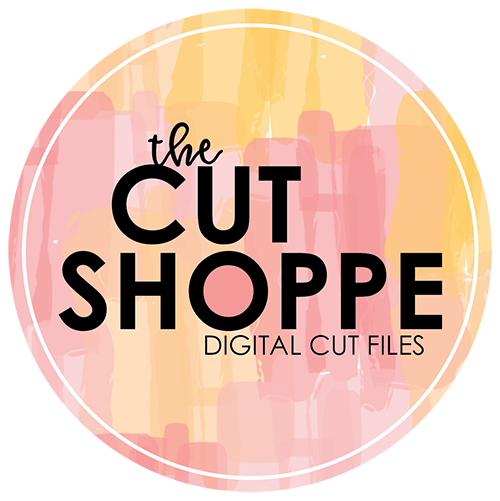 I am giving away a $10 Gift Certificate to The Cut Shoppe! All you need to do is comment below, and I will announce a random winner on Monday, May 28th! Just make sure you check back on Monday, to see if you're a winner!